The World Archaeological Congress (WAC) is a non-governmental, not-for-profit organisation and is the only archaeological organisation with elected global representation. In addition to its global role in championing archaeology and heritage WAC plays a major role in bringing together scholars, heritage professionals, students and members of the public in a series of World Archaeological Congresses held at different locations around the world. The forthcoming Congress comes to Kyoto, the first time it has been held in East Asia. The Sainsbury Institute are delighted to be able to support WAC-8 Kyoto through our heritage and archaeology networks, as well as sponsoring a special session on The Global Impact and Significance of Major Archaeological Projects, and organising another session on Global Perspectives on Religious Heritage. 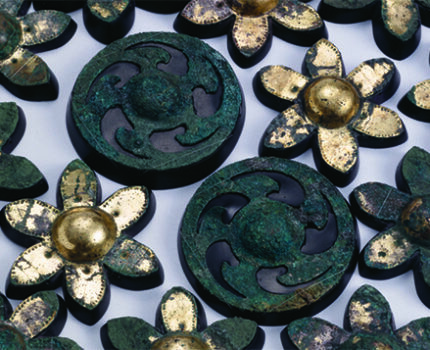 Our Handa Archaeology Fellow, Yoshida Yasuyuki, will be co-organising the session ‘Beads and Jade: Transnational Archaeology in Asia‘ and will present the paper ‘The Background of Diffusion of Jade Manufacturing Technique’ (including Japanese archaeological topic). We will also be playing a major role in linking up British heritage and archaeology professionals with colleagues in Japan and WAC-8 provides an ideal forum for our wider promotion of Japanese archaeology and heritage, as well as developing international dialogue and scholarly networks. Timed to coincide with WAC-8 is the publication of a major archaeological publication on Japanese archaeology which will be officially launched at the Congress, An Illustrated Companion to Japanese Archaeology, edited by Werner Steinhaus and Simon Kaner (published by Archaeopress). 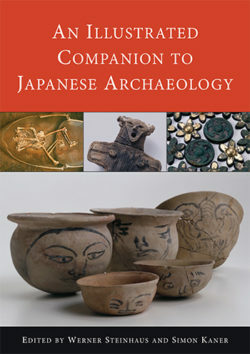 This publication provides for the first time a comprehensive visual introduction to a wide range of sites and finds from the earliest occupation of the Japanese archipelago prior to 35,000 years ago to the early historical periods and the establishment of the Chinese-style capital at Heijō, modern-day Nara, in the 8th century ad. The volume originated in the largest ever exhibition of Japanese archaeological discoveries held in Germany in 2004, which brought together over 1500 exhibits from 55 lenders around Japan, and research by over 100 specialists. This volume brings the fruits of this project to an English-reading audience and offers an up-to-date survey of the achievements of Japanese archeology.